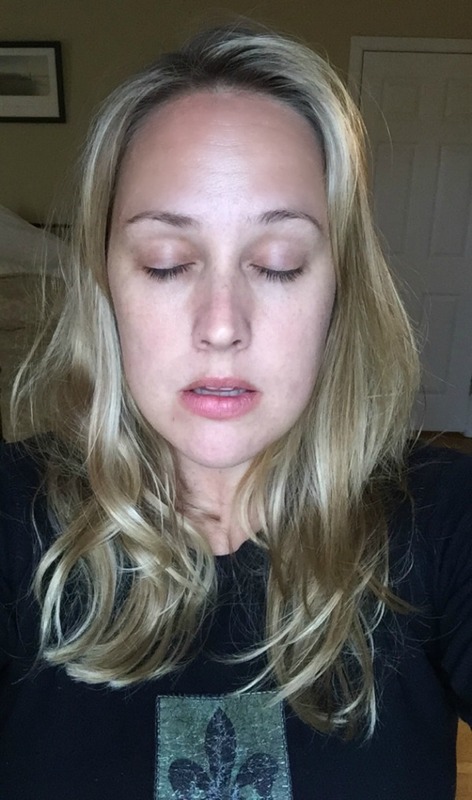 It’s not often this 40 year old woman posts a #nomakeupselfie on the Web … unless she has had her eyelashes eco-tinted by Sara Damelio of Skincando and Emerald Door Salon in Silver Spring. So there I am, above, in all my post-vacation, sun-damaged, aging and chapped lip glory. No, this is not one of those middle class mom memes in the #SoBrave vein. It’s much more shallow…and hopefully useful. It’s to reveal how it looks to have your eyelashes dyed by Sara. If you are in possession of eyelashes that are thin, sparse and any color other than a deep black, you probably reach for the mascara wand before even the most mundane of errands. I myself need a swipe or three of mascara before I look presentable for hauling the recycling bins to the curb. With fine-stranded blondish lashes that fade to invisible at the tips, I look less rested, older and overall just a whole lot less cute without darkening my eyeball fringe. 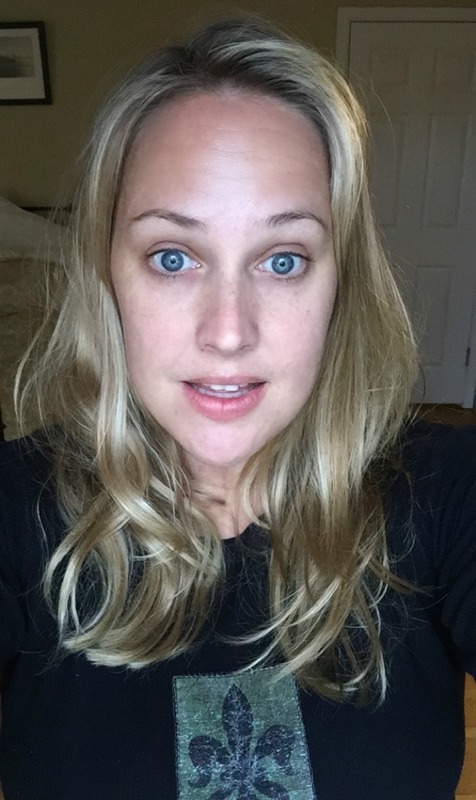 But after Sara used non-toxic vegetable dye to tint my lashes — even the tiny invisible ones at the base that a mascara wand cannot really reach — I find myself going makeup-less a whole lot more often. I also looked so much better when hiking, diving, swimming and other outdoor activities when on vacation in Costa Rica with Chris this past week. (Give it up to Grandma for watching the kids.) My fresh face just looked fresher, younger and better. Sara Damelio uses all classic colors by Intensive/Biosmetics to dye lashes and brows. The dyes contain natural ingredients of plants like sunflower oil and offer a gentle, but long-lasting color. Although I have low levels of pigment in my skin and hair, Sara chose the most beautiful deep inky blue-black for my lash dye color, creating such a cool contrast that all I now need in the way of makeup for everyday is a little Miracle Cream moisturizer and swipe of Combat Ready Lip Balm. This treatment is a HUGE time saver and costs just $25 for lashes, $20 for brows. Next time I am also going to have Sara dye my brows one shade darker than natural for the next level of makeup less mornings! It’s been a week and the lashes are as dark as ever; Sara says we can expect the color to slowly begin to fade after two weeks. I received this first treatment for review, which was brilliant because now I will be doing it forever. Sara = genius. No additional compensation received. All dorky opinions and oversharing are mine. I got a lot of reading from your blog. If anyone wants to doorstep salon services in delhi NCR connect with BeautyOnTheGo. they provide a best doorstep salon service across in delhi.